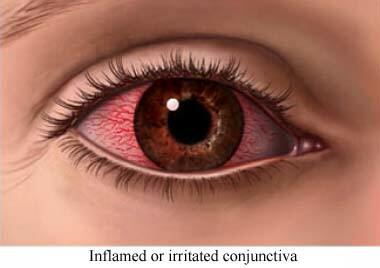 Infectious conjunctivitis. EBSCO DynaMed Plus website. Available at: http://www.dynamed.com/topics/dmp~AN~T116741/Infectious-conjunctivitis . Updated July 15, 2016. Accessed September 1, 2017. Pinkeye (conjunctivitis). Healthy Children—American Academy of Pediatrics website. Available at: http://www.healthychildren.org/English/health-issues/conditions/eyes/Pages/PinkEye-Conjunctivitis.aspx. Updated November 21, 2015. Accessed September 1, 2017.